My wife, Fiona, recently put Tech-Wise Family in front of me and suggested that I read it, and I’m glad she did. Andy Crouch has performed a great service in writing this book – one that is good for all people, not just families. It’s been helpful in exposing some of the problems that have been simmering away under the surface of our relationship (and that with family and friends) which we couldn’t clearly identify at first. 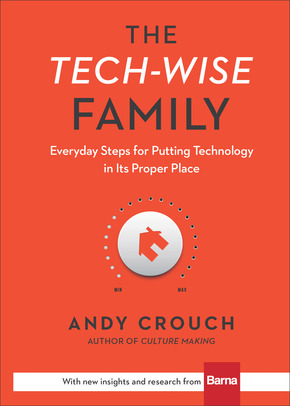 At the core of the book are ‘Ten Tech-Wise Commitments’ which Crouch (and his family) have tried to live out. The book begins with some research and commentary about how technology has infiltrated many (if not all) aspects of our lives and helpfully navigates the grey-space of technology’s benefits – identified as being both helpful and unhelpful depending on the context. This isn’t a book that says technology is all bad. It’s a book that helps us think through putting technology in its correct place so that it can be used without being a detriment to every day life. Throughout the book, Crouch uses research from the Barna Group to highlight current perspectives and trends from American families. Some of these stats are quite surprising because, while there’s clearly issues arising from the pervasiveness of technology in homes, there are not that many resources available for thinking how to deal with them. For example, 24% of those surveyed strongly agreed that electronic devices were a significant disruption to family meals, but this is the first book I’ve come across that both identifies why time like family meals are important and offers some helpful strategies that have been tried at home for use by the whole family (not just for the kids). I expect that the stats offered in this book will be similar in the Australian context (as I also noted in my review of You Lost Me – another book using stats from Barna), but I’d be interested to see what Australian researchers have found. Without giving too much away, most of Crouch’s argument is based around the premise that relationships and creativity are important and that technology (particularly smart devices of the modern day) are robbing us of both of these things. The 10 Commitments noted throughout the book are designed to allow for both to flourish at home. At the end of each chapter, Crouch provides an assessment of his own family’s living-out of the commitments and some helpful examples from other families when they’ve not been as successful as they had hoped. The honesty of these assessments helped me as a reader know that they’re not just aspirational goals – which are possibly in reach – but that, perhaps with some modifications for our context, could be very helpful. As Crouch also points out – they’re commitments, not commandments, so one probably would want to adapt them so that they are desirable and worthy of striving towards within each reader’s setting. There are some points in the book where I think I disagree, or that a clearer distinction could have been made. This particularly applies to a discussion about leisure versus rest and in that some of the lines drawn on particular things. For example, in the rest category falls reading a fiction book, but in leisure falls reading the newspaper – and there are similar distinctions throughout the book. For this particular example, I would want to say that reading the newspaper could still fall in to rest – particularly the weekend papers that have long form articles and reviews which can be engaging, thought-provoking and imagination building. Ultimately though, these distinctions aren’t crucial to understanding the book, but do help the reader in forming a perspective on how one might live out the commitments, and so are important to think through. Even with the small complaint above, I’d wholeheartedly recommend this book. Unconsciously, we’ve seen the fruits of some of the suggested actions coming from Tech-Wise Family in our own home. Even before completing the book, Fiona and I have recently had some great discussions, free from our devices, which have helped us in our communication and marriage. The chapter on commitment 7 and conversations particularly reinforced what we experienced (without us realising what was happening at the time!) Taking the time to sit, talk, and think, without consulting our devices (which, the book states, are ultimately distractions) was incredibly fruitful. 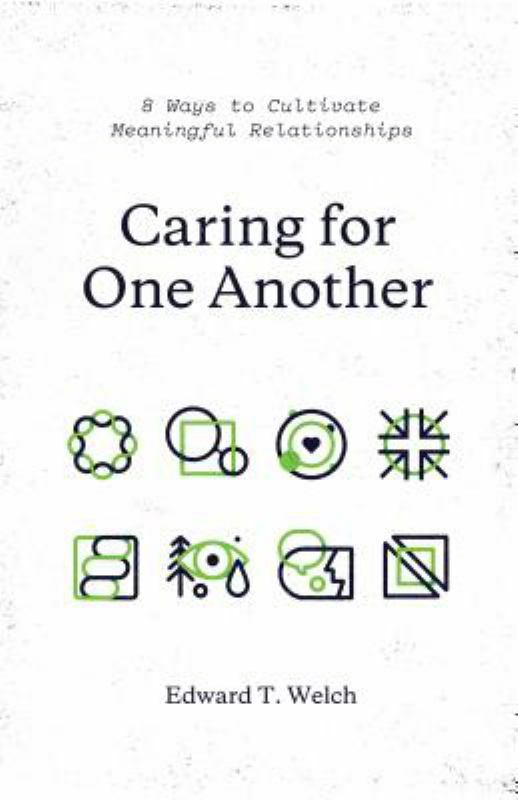 In this light, I think some aspects of the book’s commitments could be helpfully applied in a share-house arrangement where relationships could be built and strengthened, likewise in a church community-group context. Furthermore, while Tech-Wise Family is deeply rooted in a Christian view of relationships and purpose it would be good for any adult to read, no matter what their circumstance. I’m hopeful that this book will continue to shape the way I conduct my relationships both in and outside the family – that we have real and deep relationships rather than superficial ones mediated and interrupted by the devices that we have with us nearly all the time. This post was originally written in the form of an essay for a ‘Current Issues’ assessment as part of my study at Christ College. In 2008, the Catholic church, along with Protestants alike, debated the use of the name Yahweh in their liturgy and music1. Meanwhile the Jewish church has not used this name for centuries2. In light of the revelation of God’s name in Exodus 3, and other pieces of scripture, this paper will attempt to explore how this unique name for God could be used in the modern church, today. I have previously argued that the name Yahweh, as revealed to both Moses and us in Exodus 3 carries significant weight throughout the whole Old Testament, particularly for the nation of Israel. It conveyed the entire character of God, describing his work in creation, in creating covenant with Moses’ patriarchs, and in keeping his covenant as he bought the nation out of Israel and into the promised land. Protestant theology acknowledges that “in both Old and New Testament everlasting life is offered to Mankind by Christ”3 and therefore we should acknowledge the relationship between God and his people best described by the name he gave Himself. This is the same relationship which was supremely ratified in the death and resurrection of Christ. Both Christian worship music, and Christian-inspired secular music, use references to Yahweh. For example, secular band U2’s album How to Dismantle an Atomic Bomb has a track with Yahweh as it’s title, but makes no intelligible reference to the God of Israel or His character4. Then, in the Christian worship context, we have both traditional and contemporary songs referencing Yahweh directly by this name. So, should we take the approach of removing the use of God’s unique name in corporate worship, and if not, how should it be used? Interestingly, in one hymn book5, there are 5 hymns attributed to our Exodus 3 passage, but only one of them calls the church to sing of I AM. It certainly seems, then, that in more traditional worship contexts this removal may already have been, perhaps unconsciously, done. From scripture, it would appear that there is a model for worshiping God using his holy name. For example, Isaiah 12 elicits Israel to ‘call upon his name’ (v4) and to ‘sing praises’ (v5) to Him because of the character displayed by his acts – which his name also conveys. Similarly, Psalm 150 inspires us to create music to praise Him for his mighty deeds, according to his excellent greatness (v2). Rendered in English, this psalm transliterates the holy name of ‘the LORD’ 3 times. I believe these examples, amongst others, certainly provide an opportunity to use this name in our weekly gatherings. However, I do believe we need to exercise some caution when using this name. 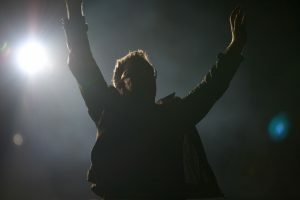 Service and music leaders in contemporary churches should be careful to avoid the trap that Bono, the lead singer of U2 and the band’s main lyricist, fell into. It would seem that many of the lyrics of contemporary worship songs, where the name Yahweh is used, treat it more as a poetic device than a way of describing the Lord. But if a purpose of music and liturgy in corporate worship is the teaching of God’s word, then a more robust approach must be taken6. The key to this approach is ensuring that the name is correctly put in a context that explains or expresses the significance of it. Exodus 34:6 provides a wide-ranging description of God’s character, as defined by God himself, starting with the repetition of his name. Indeed many of the times that the term is used as a descriptor for God in the Old Testament, it is accompanied by a qualifier that has echoes of the description within Exodus 34. It would seem appropriate then, that we should follow a similar pattern in the use of the name in our modern context. The benefit to us, today, in following this pattern is for the average congregation member. They may not have a full understanding of the significance of what God’s name meant to Israel and Jesus’ contemporaries and so reciting it as part of liturgy or song should also express and teach us about how great the character of God is. The way in which we worship, both in the words we speak and the songs will sing, will continue to adapt to be appropriate for the context of the modern church. However, the God of the Bible never changes, and a proper understanding of his character empowers those who put their trust in Jesus to know and love him better. Therefore, I think it is helpful that we use the name Yahweh, when appropriate in our corporate worship, to aid us to recognise and see the greatness of the God who authored the salvation story across the whole Bible. Off the back of some great Take Love projects that happened through our church youth community over the weekend, I found the article ‘Where Did the Christians Go? Conservative Complicity after Budget 2014‘, from a few weeks ago very interesting – particularly as someone looking from the inside of the moderately conservative christian culture, to our secular world. In particular, these two quotes struck me, and challenged my thinking as someone who lives in the electorate of Tony Abbott, but is disenfranchised with both political parties’ stance on a few key ethical issues including foreign aid, people who are seeking asylum here in Australia, and supporting people living on a low income. Could it be that the church is more worried about losing our government benefits than about Australia’s most vulnerable losing theirs? As Christians, our response to the Gospel of Jesus should be, in part, a desire to see those sick, in poverty and under oppression, cared for. As I read the article, I thought to my self, “am I doing anything to present a Gospel-centered perspective to those in our parliament who design policies that affect millions of people locally, and abroad”. I’d highly recommend both this article, and this slightly-tounge-in-cheek article by Chris Bedding, if you’re interested in recent articles relating to politics and social justice from a Christian world view. Mars Hill Church band, Citizens, have their new album available for free on NoiseTrade. We’ve done a few of the songs off this album at church at youth and our Sunday night service and they’re great! Many are old hymns – including some of my favourites – done in a new, contemporary, style with new arrangements or melodies. If you like what you hear, NoiseTrade allows you to tip the artist a few dollars too. Secondly, for the new few weeks, Eventide, who make some great hardware and software audio effect plugins are giving away their new UltraChannel VST plugin. If you’re a recording engineer, or a musician and use any software that supports VST plugins (like MainStage, which I use for creating and playing tones for our Sunday night church band, Legitified), download it now! It’s got a couple of compressors, a 5 band parametric EQ and some other nice extras. After early July, it will go on sale for about AU$300 – so it’s very much worth getting it for free while you’re able. As someone commented on Facebook, ‘Free Eventide is good Eventide!’. Note: This post follows on from my Citizens morning session recap. Both the sessions I attended in the afternoon at Citizens were presented by Tim Chaddick. As someone who is only a couple of years older than myself, I was greatly encouraged by his heart for the Gospel, for his passion for bringing it to people in his context, and his knowledge of the scriptures. Tim’s workshop started with a short talk based from his experience planting Reality LA. This was followed by a Q&A panel with John Dickson, Mike Paget and Julie-Anne Laird. Listening to the city will point us to identifying the idols of the city, which blind non christians to the truth of the Gospel. When we understand the idols, we’ll be able to reason with people (like Paul in Acts), identify road blocks to the Gospel, and be moved with compassion for the city. Tim identified common idols as career and acceptance among peers in his context in LA. In the context of the workshop, idols were defined as things that people find their ultimate significance and identity in, and in turn stop people seeing the reality of who Jesus is, and the work he’s done for them on the cross. Once we’ve got a grasp of the idols our cities hold high, we need to help people see the idols for themselves. Christians need to challenge people to think about their idols and why they put their hope in them. The Gospel exposes our hearts, and changes us, and so helping people question if their hope is in the right place will provoke them to consider the Gospel truths. We need to avoid superficial questions that dance around the idols of our cities and instead, confront them head on. Evangelism isn’t about changing the topic, away from the idols we see around us. It’s about bringing the Gospel to the topic, showing how it comes to bear on the topic. and then provided clarity of the problem that sin isn’t just the actions of our hands, but that it’s the motives of our hearts. We need to remember that the Gospel is a gift of grace and Jesus is the solution for sin and the effects of it! If we are moved to compassion for our city, we should want to share the solution to the cities real problems. Just believe that God will transform our cities! Jesus’ tomb is empty and so we have news to tell! Talk 3 – Why Would Anyone Listen? In the final session of the day, Tim spoke from Ezekiel 37, where God tells Ezekiel to prophesy over a valley of dry bones. “When we see the Spiritual reality of our cities, it moves us to a place that says, ‘God, only You know'”. We need to remember that people need to hear God speaking, and that as his word goes out, he changes hearts. We need to keep telling the Truth to people. Nothing will happen without God’s power. Renewal, resurrection and life all come from God, through us, speaking his Word. The simplicity of the Gospel breaks people. Through the Gospel, the power that raised Jesus from the dead works in us! We have hope where there only seems to be despair. We can see where people need the Gospel even when we don’t think they’ll come to Jesus. We are visionaries – seeing where life can be found. We are pioneers, compelled by the Gospel to take the good news to the people. We need to root our confidence in the Gospel, not in ourselves, or our ministry results. Doing the latter, if we are successful, only will make us proud and when we fail, we’ll be discouraged. We’re already accepted by God, because of the work done by Jesus on the cross! We are secure in Christ, so go take some risks! 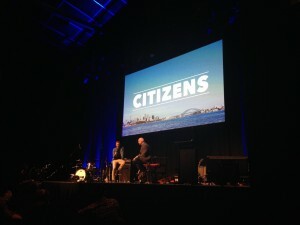 Citizens was a one day event held by City to City Australia, at Luna Park on the 29th of March. Tim Keller was the main speaker and delivered two addresses in the morning, followed by some breakouts in the afternoon and a closing address by Tim Chaddick (who I hadn’t heard of before learning of the event) in the afternoon. Unusually, I took lots of notes during the day. Unusual, because I rarely take notes! However, I wanted to make the best of the opportunity presented on the day to consider, learn and think about what it means to be citizens of heaven but also citizens of earthly cities that we live in now. Below are some of short snippets of what I though was interesting on the day. The first session of the day from Tim Keller was loosely based on Colossians 3, although the majority of the time was spent discussing the Parable of the Lost Son, which was the topic of his book, The Prodigal God. These 3 points came out of the truth that a full understanding of the Gospel should make us humble. The Gospel also allows us to fail, and repent, because we’re all sinful. As a result we shouldn’t need to seek the approval of others but in the same way, we shouldn’t lord our ‘righteousness’ over others. One of the first things that Keller spoke about that I found encouraging in the 2nd session was the reminder that God’s still at work in all situations – not just the big movements we know about that have been recorded in history. I think this is important to remember when we feel like nothing is happening. Most of the talk was spent identifying the characteristics that Keller has found in successful Gospel Movements. Keller noted that the Gospel wasn’t changed in the early church, and in fact the apostles kept an eye on what was being preached. However, the people spread throughout the world just preached and communicated in new ways. The content remained consistent but the methods changed. When denominations hold onto their vitamins (the term Keller used to describe the things they hold dear and try and do well almost exclusively to everything else), and attack others for doing doing well the things they’re not, revival won’t happen. Keller believes that while differences matter and can be good (when not on core doctrinal issues), revival happens across different Gospel believing denominations (in which it can be assumed that God blesses them) and so, perhaps, that the differences between them aren’t insurmountable. We need to learn as much as we can from our brothers and sisters. Christian Professionals band together to work out how they can use their skills and organisations to advance the Gospel. Leaders of businesses, need to be friends! Finally, Keller said that we can do everything in our power to clear the way for renewal and a Gospel movement to happen, but we ultimately need God to set it alight. Keller thinks that while revival in our cities is a big thing to ask for, God may be pleased that we’re asking for it, and bless us in doing his work. We need to pray with boldness, asking for God to do big things in and through us, for revival to happen. Incidentally, there’s a sermon by Keller based on the passage which was read on the day from Acts which covers more of the biblical foundations for what was discussed available for free on the Redeemer website. I’ll sum up the afternoon workshop and session, both delivered by Tim Chaddick, in my next post. This year we started producing weekly Church News segments for our Sunday Morning (family) and Night (young adults) services – the largest 2 of 5 at St. Faith’s. This is something that we’ve thought about doing for a while, but finally committed to doing. Over the next couple of posts I’ll address why we’re doing church news and how. Our desire is to be: A community transformed by Jesus’ love, fully devoted to loving one another, and radically committed to impacting the world with Christ’s love. From an up-the-front, service leader, perspective, it’s crucial that we communicate that vision effectively, and that we invite people to be part of it. As we’re continuing to develop Church News throughout the year (we haven’t figured everything out yet! ), we’re continuing to find ways to express the church vision. Here’s an example of a recent week’s Church News. However, there’s a couple of reasons why we started doing it in the first place, which are at the heart of the process. During pre-production each month Ben, the pastor for our family and night congregations, will discuss with Nick, a volunteer who produces the script and directs the filming, what notices we want for the following month. This has meant that a particular focus has come on to planning ahead for events and as a result, the communication of these events is much more effective. 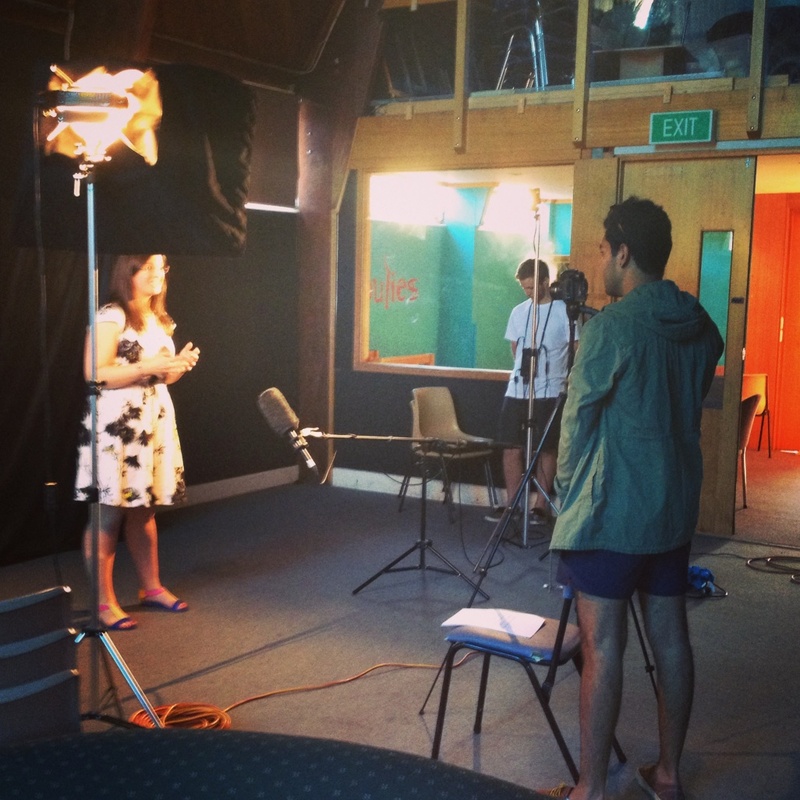 We’re able to tailor the script each week to give as little or as much information as we need to give at that time. This means that we can quickly promo (in 15 seconds or so) an event coming up at the end of the month in the first few weeks – to get it on people’s radar and in their diaries. Likewise, if there’s an event that’s big for the life of the church, we’re able to plan to give more time to it as a segment over several weeks, or in a single week. As a result of the planning, we’re also able to make sure we’re communicating exactly what we need at the moment in time. We don’t distract from the segment with unnecessary ad-libbed anecdotes (which often will happen in a live situation), but get the important details out and communicate how the message relates to the vision of the church. The team at Church on the Move, where we drew a lot of inspiration from, call this ‘identifying the win’ – and I think we’re still trying to figure out what that means for us. However, I do believe it’s vitally important to do this to be clear and concise and hopefully get people motivated to live out the vision as members of the church. Each month we have someone different in front of the camera – and so far we’ve gone for a variety of people, a young worker, a parent from our family service and another, older, parent from our night service. In addition to the welcome from our pastoral team (who lead the congregation through our services) from the front of church, we wanted to connect new people with a face they might recognise after church. Because of this, we’re deliberate in having the person introduce themselves and give a bit of background on who they are. We’re also intentional, on the tail end, to encourage people to come back next week. The video also serves as the entry point to invite people to visit the Next Steps page on our website. This is done as the first segment after of the welcome specifically for visitors to have the opportunity to connect with us via their smart phone during or after the service – if they don’t feel comfortable introducing them selves to a church regular or staff member. Because we’re being more intentional with our notices, we’ve got a greater opportunity to encourage our regular church members. We’re able to give updates on things that are happening around church both in the past and future. As I wrote above, we’re also able to make sure everything we produce is on message, that is, communicating the vision of the church. I believe that, without a consistent message, we lose the effectiveness of notices which directly impacts the ability for our regulars to feel and be a part of the vision of the church. In the next blog post, we’ll talk about the technical aspects of how we shoot, edit and distribute Church News every week. This morning I took a quick look at the first night from Seeds Conference. Seeds is a ministry and blog from Church On The Move in The States that many church creatives I know use for inspiration and resources. Recently, we’ve used some of their insights in the development of Church News for St. Faith’s. This year, a scrim was used around the edge of the stage to project images and shadows on to. It certainly made a great visual, and probably helped people focus on the words and music of the opening song, Oceans, rather than the musicians on stage – which is often something people are cautious about when it comes to doing music and production well. I thought it both looked great, and enhanced the lyrical content of the song through the choice of the media that was projected. Take a look at the first 10 minutes to get an idea of what I’m talking about! This wasn’t the first time I’ve seen a scrim used – the first in this kind of context was at Hillsong Conference about 5 years ago. We also used a scrim at NTE last year to diffuse a Martin EC LED screen behind the stage that we used for song words, theme graphics and some video content. However, I think with recent advances in projection, this kind of visual design can be used in much more interactive and expressive ways than even just a few years ago!